Some think horizontal stripes make you look big, but that’s not the case with this Happy Mug Stripes from Krasilnikoff. 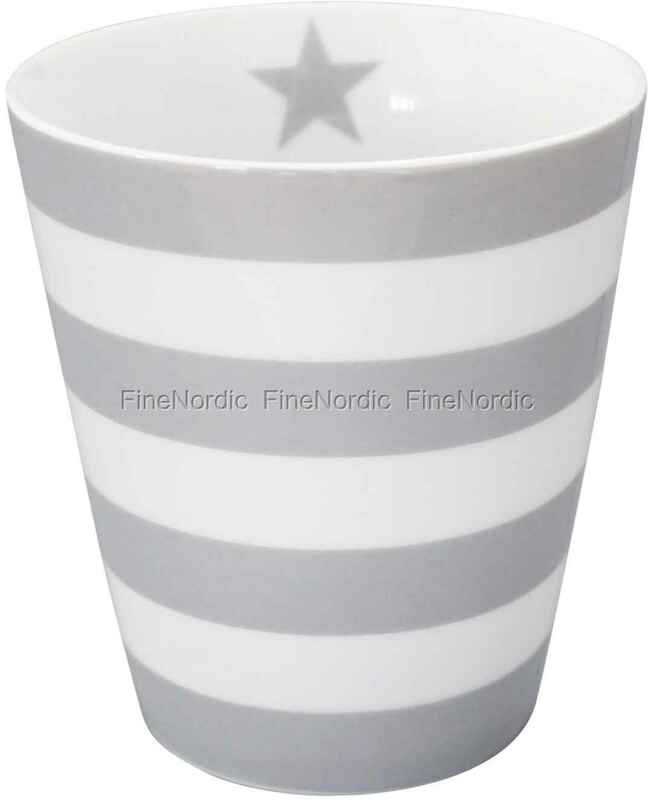 With its capacity of 250 ml, you can enjoy some tea, coffee, juice and more with this pretty grey and white striped mug. There are stripes on the outside and one little grey star on the inside of the mug and because of the little star, true collectors know: This can only be a Krasilnikoff mug. The Happy Mug Stripes is dishwasher and microwave safe and you can mix and match it with the other mugs from Krasilnikoff’s Happy Mug collection.